A high-profile Minneapolis police officer has filed suit against Mayor Betsy Hodges, accusing her of branding him a racist and damaging his career. 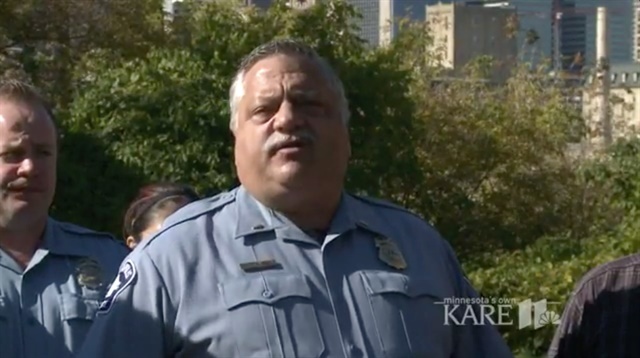 The lawsuit, filed in Hennepin County District Court Friday by attorneys for Lt. John Delmonico, is built on a series of text messages between Hodges and then Minneapolis Police Chief Janee Harteau in April of 2017. Harteau had announced that she was promoting 4th Precinct Inspector Michael Kjos to Deputy Chief, and named Delmonico as his successor. The lawsuit alleges Hodges had signed off on this personnel decision, but then reversed her position, texting the chief that Delmonico was untrustworthy ("We know we can't trust John") and racist ("They also remember lots of racist stuff he has done"). Because the text messages constitute public records under Minnesota Government Data Practices Act, they were released to members of the media working a story of the growing feud between Hodges and Harteau, KARE TV reports.